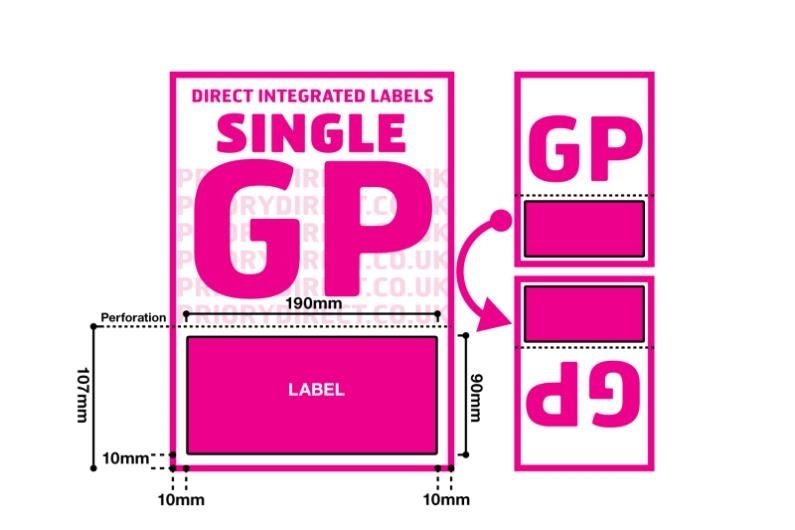 100 sheet boxes of Style GP integrated label sheets. 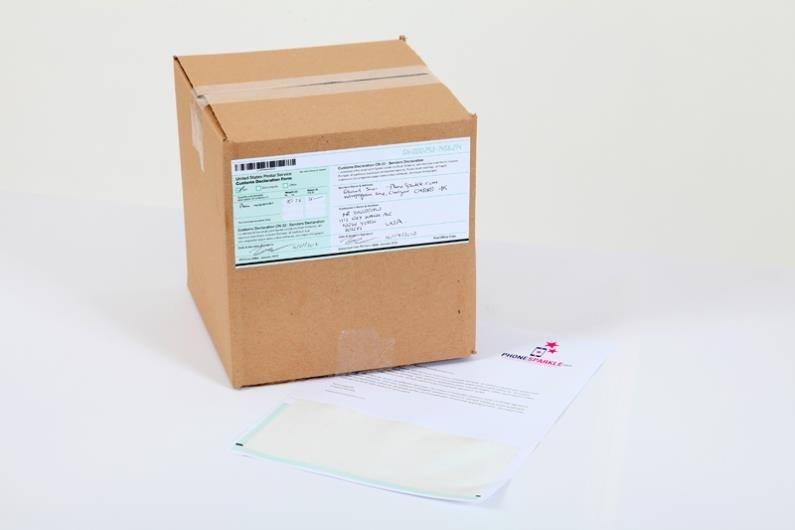 There’s one large label on each A4 sheet, with a horizontal perforated line above the label enabling you to neatly remove the excess backing once the label is removed. The label measures 190mm x 90mm and is positioned 10mm from the left, right and foot of the page – it’s almost as wide as the A4 sheet and around a third as high. 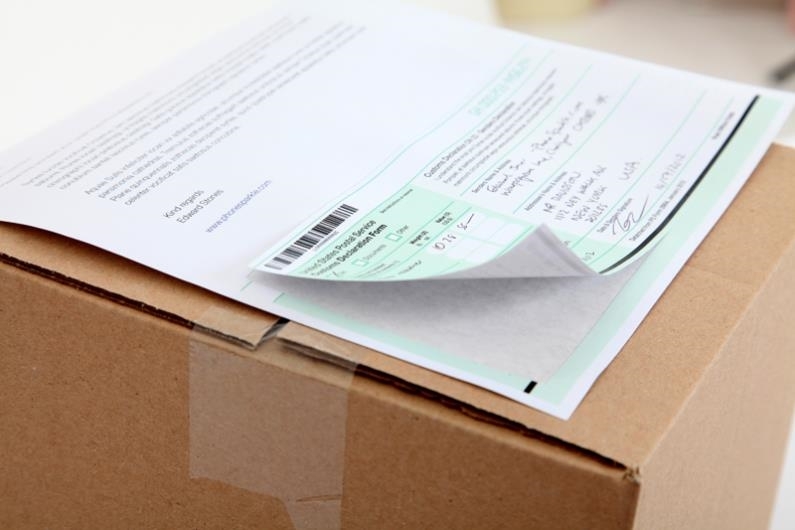 Print the packing note and invoice on the non-label area in the same print pass as the delivery label, to save time in your despatch process. Made from premium white paper - 90gsm, with labels guaranteed to stick to all normal packaging surfaces in all conditions, they are popular with Amazon and PayPal sellers.